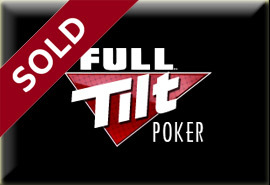 One of the main principles involved in the ongoing negotiations for Groupe Bernard Tapie in their take-over bid of the struggling online poker site Full Tilt Poker has confirmed that the article written on Subject: Poker Tuesday was indeed accurate, and that the US Department of Justice has agreed in principle to a deal that would see Full Tilt Poker players around the world repaid. The deal itself calls for the Department of Justice to take on the task of repaying US players (likely from the hundreds of millions the site has seized from Full Tilt Poker and Full Tilt Poker owners both before and after Black Friday) while Groupe Bernard Tapie would take on the debts Full Tilt Poker has amassed from players from other locales around the globe. As the possibility of receiving their account balances seems to becoming a reality (some of which have been untouchable since Black Friday, April 15, 2011) players are eagerly awaiting the details of the agreement, especially as to how the DOJ will repay US players, and if Full Tilt Poker will be welcomed back should legislation pass –or will they have to be a no deposit poker room??? This entry was posted on Thursday, November 3rd, 2011 at 8:59 am and is filed under Poker News. You can follow any responses to this entry through the RSS 2.0 feed. You can leave a response, or trackback from your own site.